The resignation of Delhi Chief Minister Arvind Kejriwal over his failure to table the Jan Lokpal Bill in the assembly has evoked mixed responses. His supporters in the United States have hailed his action while his opponents from both the Congress and the Bharatiya Janata Party termed the move as mere drama. “The AAP's unprecedented victory in the Delhi assembly elections had everything to do with its strong anti-corruption plank. The Jan Lokpal Bill has been the cornerstone of the AAP's agenda. If the party can't get it passed, then it defeats the very purpose of it being in power. Resignation was the only option. In fact, Kejriwal had made this very clear before tabling the bill,” said Pran Kurup, one of the leaders of the Aam Aadmi Party. “Constitutional experts have said that it is not unconstitutional for the Delhi Assembly to table the bill. We are not under British rule anymore -- the government of India is not the British and the Lieutenant Governor of Delhi is not its Viceroy, though they are acting like they are,” he said. “We are disappointed that the Congress and the Bharatiya Janata Party, two national parties, ganged up and prevented the nascent AAP government and the newly elected Delhi Assembly from functioning and bringing in new and strong anti-corruption laws,” said Kaleem Kawaja, executive director of the Association of Indian Muslims of America. But Kawaja noted, “We are very hopeful that in the upcoming parliamentary election, the AAP will win a large number of seats and we will be able to influence other parties to reform the political system at the national level”. “We feel sad at the sudden fall of the government, especially as this government had initiated several programmes to reform governance and the political process in the country. It had given a lot of hope to ordinary people that corruption, police brutality and abuse of religion and caste will be reduced,” Kawaja said. Kurup added, “The Congress government at the Centre is clearly against the bill. They have tried all kinds of political and administrative manoeuvres to sabotage the bill at every stage. The BJP has tried its best to put up an anti-corruption facade but when it came down to it, they simply chickened out." “The BJP first said they will support the bill and later joined the Congress in opposing the bill -- a perfect example of a party saying one thing and doing exactly the opposite. The divide in India's political spectrum is very clear -- you have the AAP on the one hand, willing to stake everything to end corruption, while on the other you have major political parties like the BJP and the Congress which are evidently not serious about tough anti-corruption laws. 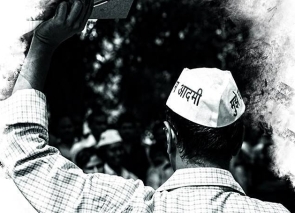 “By resigning, the AAP has shown that it is not in the business of holding on to power. Most political parties would have done anything to remain in power. But the AAP is not a conventional political party. Unlike traditional political parties, it is driven by and stands by its principles,” Kurup noted. But Thomas T Oommen, president of the Indian Christian Forum, had a different take on the issue. “Kejriwal's ploy is a prelude to anarchism. It is easy to start a protest, then hold an agitation, then a mass demonstration. But the reality of governing is far more difficult than simply agitating,” said Oommen. “Kejriwal finally learned his lesson. He can keep on agitating till the end of the world. But unless and until he learns how to manage and run a village, a town, a city, a state and then finally a country, you are nothing but a life long agitator,” he said.